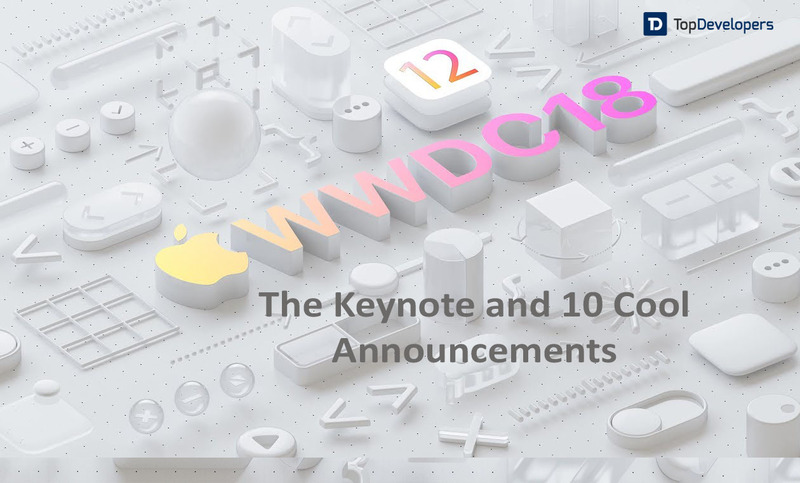 An overview of the Apple WWDC 2018, the 5 day event of the year, right from the keynote to the big announcements like iOS 12, ARKit update, smarter Siri, Memoji and animoji, latest MacOS and much more. Apple’s WWDC Annual Conference 2018- the gala event wrapped up in San Jose, California, with a bundle of major updates to all the Apple’s platforms, a slew of the changes and additions to the OS, with a bunch of initiatives focused on performance, security and privacy, and digital wellness. All this will be perfectly leveraged by the experienced and quality iPhone app development companies to provide their clients a boost with an improved customer experience. However, there was no announcement for the new hardware, but the tweaks and updates unleashed hold the potential to reinvent the user experience with Apple devices. With iOS 12, again Apple has proved that the latest OS version is better than its predecessor and packed the developers the new tools and resources to build the app which keeps the users of future on the iPhones. The new Animoji, improved Siri, group facetime chat, intelligent photo search, screen control to curb smartphone addiction, updated augmented reality SDK and plenty more changes clearly indicate the new update will beyond doubt delight the users with responsive and exciting experiences. Dig below to see how the OS will help the developers step in with the users of the future. Understanding the massive potential of the AR apps in the market, Apple rolled out ARKit 2.0 to stay ahead of the game. The next-gen augmented reality SDK is jam-packed with the ample of new features like- shared experiences, multiplayer component and persistent experiences, and enhanced face tracking, sophisticated 3D object detection, and realistic rendering. For shared AR experiences, Apple has teamed up with Pixar to create a new file format for shared AR content where the two users can see exactly the same AR content even when two distinct iOS devices are pointed at the same object. To optimize the sharing animation, the support for USDZ file format is provided. To precisely measure the real-world object for accurate AR animation, the native app- Measure is introduced. It even lets the user see the object size when they drag a finger across the object while the camera is pointing the object. Perhaps, you have tried the Bitmoji app which allows users to create the personalize avatar and use them in the message apps. They are taking a center stage in the communication platforms because of the huge interest the users are showing in them. That’s the reason, taking a step further, Apple has brought Memoji feature to lock-in the users in its iMessage app. Beating the popularity of animoji messaging option, Apple’s Memoji completely redefined the personalized avatars that look just like the users with glasses, freckles, skin colors, accessories, and hairstyles. The memoji are powered with face-tracking and tongue detection technology due to which the animated emoji can move around the head as users move their head or bring their tongue out as the users do. In this manner, the memoji lets the users create the virtual version of them that can be saved and used later. The update to photo app is again the step taken by the Apple to catch up to the competitors as many of the features revealed in the WWDC event resembled what Google has introduced a year ago in the photo app. The native photo app automatically groups the photos based on the people, moments and places, and create the separate albums. The event indexing and automated search suggestion in a single tab improve the user experience when they search for event-specific photos. It’s so because the photo app search starts working even before the user types with search suggestions and makes recommendations to share the album with the people tagged in the shot. Taking a big leap forward, a new feature group FaceTime chat is launched that can be integrated with native video chat platform. It allows 32 participants at once to group chat or group video call. The photos of the participants in the form of tiles appear on the screen, which users can opt for if they want the face to get highlighted. The Apple camera effects make it more interesting as it enables the users to refine the faces with filters and allow the use of animojis, memojis, and stickers while chatting. In order to make Siri competitive as opposed to other voice assistants, Apple has introduced two new features. One is Shortcut that allows the users to create custom voice commands and integrate it with the third-party apps. For instance, when Siri is asked for the hotel bookings in the next travel plan, it quickly displays the hotel name and rooms booked through Hopper app. The users will find the shortcut option within the apps that can be identified as “Add to Siri” and there the Siri can be trained for the custom commands. The shortcut tool is compatible with HomePod and Apple watch when the user interacts using Siri. Second is making the personalized suggestions based on the user’s location, work, and habits such as recognizing the user’s eating habits on weekends, it will advise them to order Sushi or fried chicken from KFC. To stack up against the Google digital wellbeing initiative, Apple has not similarly, but subtly implemented the features in a different perspective to better manage the time spent on iOS devices. To combat smartphone addiction and FOMO phenomenon, Apple has launched an array of features. The screen time tool which displays a dashboard that showcases the breakdown of time spent on different apps weekly. This tracking helps the users in creating self-imposed boundaries and manages the time spent on apps. Also, the users can add a time limit to the app which is of great help to the parents in remotely managing the app’s usage by their kids. The Do not disturb feature flips on scheduled bedtime and automatically silence the phone and hides the notifications until the users wake up. Expanding the DND mode, the location-based or event-based triggers can also be included where the notifications don’t snooze unless the users turn off the DND mode. Instant tuning feature that aids in notification customization where the users are allowed to group the notifications in batches and even turn off the notifications squarely from the lock-screen. To delight and convince the Mac users stay in the Apple ecosystem, a slew of incremental updates are introduced that includes- the dark mode that takes apps on a darker hue which is useful for the developers working late night and ease the color distinction in code groups during Xcode use; desktop stacks that let users stay organized by grouping the icons into piles and expanding them with a tap. The significant tweaks are made in the Mac app store redesigning with an editorial bent where the complete user interface is intelligently redesigned with discovery tab where the content about Mac apps can be easily found, the apps are grouped in tabs so that best apps get easily surfaced up and rated by the users. It’s just a matter of a few months back when Apple watch 3 make its way to the world and now, Apple has released Watch OS 5 with ample of features which are signaling the bright future of wearable. The watch gets a throwback feature of old walkie-talkie where the users’ just press on the watch and the other friend wearing the Apple watch can hear the voice without needing to use the phone. The watch-to-watch connection works over internet connectivity to send the voice message to friends or family members with Apple watch. The receiver will feel the haptic feedback alert and then can hear the voice message instantly. The live voice-chat at the tap of the screen brought a fun element. Another striking feature is activity monitoring that automatically tracks the workout without needing the users to tell the watch that they are exercising, running, hiking or doing yoga. It also allows the users to challenge the pals to activity competition. The bespoke feature supports the health and fitness goal and motivates the users to stay healthy. With Siri update, the users can ask a question just by raising their wrist or add customized questions so that the answers like- heart rate, run score, or the number of steps walked will get on the screen when asked. 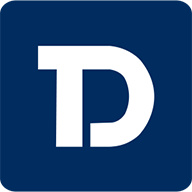 A year before, Apple brought 4K capabilities to the Apple TV and now, it has introduced Dolby Atmos- the high-quality audio format along with HDR capability, which makes Apple TV as the first device supporting both Dolby Atmos and Dolby Vision worldwide. Setting a new standard in the cinematic experiences, the Apple TV now completely immerses the users with crisp pictures and 3D audio. If the users own the 4K HDR-capable Apple TV, then they will have access to the big selection of the content on iTunes and other TV networks because 100+ video channels are available after the addition of live news and sports channel. The most appealing part of the TV is it works over your voice commands with Siri integration. Going ahead, the users can find the movies and shows, get recommendations, view live channels and can browse the content from video channels without needing to switch from one app to the next. The Apple TV works seamlessly on iPhone and iPad so that users can watch the TV from any of the iOS devices. The new zero sign-on is a boon for the users as the Apple TV users are required to log-in separately for some channel apps and that’s annoying to manage the passwords. With zero sign-on, Apple automatically logs the users into the channel apps thereby ending the hassle involved in password management.